In the last 12 months I have become quite fascinated by American politics and law. No, not because of the whole Hillary Clinton and Donald Trump furore, the latter is frankly petrifying rather than fascinating. I have become somewhat addicted to political and legal drama’s such as House of Cards (which I am waiting to watch season four of until I have completed all of my Bailey’s longlist read, of which this novel is one), Damages ad current obsession The Good Wife, which I am limiting myself to two episodes of a night. Occasionally three because season five is so, so good. 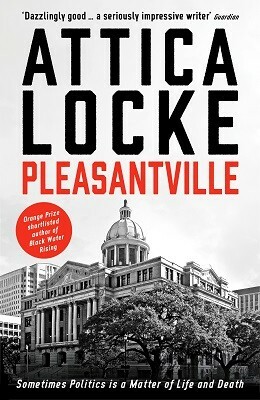 Anyway… I have now found a novel that brings all that televisual love into my literary landscape, Attica Locke’s third novel Pleasantville. It’s 1996, Bill Clinton has just been re-elected and in Houston a mayoral election is looming. As usual the campaign focuses on Pleasantville — the African-American neighbourhood of the city that has swung almost every race since it was founded to house a growing black middle class in 1949. Axel Hathorne, former chief of police and the son of Pleasantville’s founding father Sam Hathorne, was the clear favourite, all set to become Houston’s first black mayor. But his lead is slipping thanks to a late entrant into the race — Sandy Wolcott, a defence attorney riding high on the success of a high-profile murder trial. And then, just as the competition intensifies, a girl goes missing, apparently while canvassing for Axel. And when her body is found, Axel’s nephew is charged with her murder. Sam is determined that Jay Porter defends his grandson. And even though Jay is tired of wading through other people’s problems, he suddenly finds himself trying his first murder case, a trial that threatens to blow the entire community wide open, and reveal the lengths that those with power are willing to go to hold onto it. You see that makes it sound so less complex than it is, not in a ‘difficult to read’ way more a ‘there is so much going on’ way, and almost lessens the power of what Attica Locke does which is to create a completely gripping thriller that twists politics, law, murder, domestic drama and a take (because it is fictional set around some factual) on recent African-American issues and history. She makes all of this poignant and gripping whilst also adding a sprinkling of the great noir novels gone before as well as the great crime classics. We meet unlikely private detective, shady politicians, dodgy business men and women, ruthless hacks and half arsed police officers as well as getting introduced to small subplots that may mean more than we think. At the same time as making this all a gripping murder investigation, intriguing political election and then fast paced courtroom drama, which would be enough in itself, there is another layer to Pleasantville and that is the story of a man dealing with a dip in his career and a home life tinged with grief and recent single parenthood after the loss of his wife. 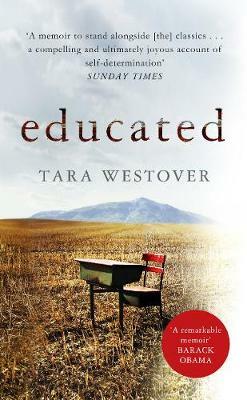 Jay Porter is a brilliant character both in the story surrounding him for the reader but also all that he stands for. Many thrillers will take the same old, same old hard done by divorcee who numbs the pain with drink. Jay numbs the pain by wanting to do what is best for his clients, what is best for Pleasantville and what is best for Houston. He’s not a cop with a grudge, he is a solicitor with a heart who is bloody good at what he does. He is a role model, almost a nod to Atticus Finch in there somewhere, well in his To Kill A Mockingbird guise at least. His home life becomes as much a part of the story, plot, pace and drama as his work life and I liked that a lot. If I am making this all sound a little too dark or noir, there is also a great sense of humour in the novel. To me it really felt that Attica Locke is writing books about things she feels are important, like the law, African-American issues and politics, but also having fun whilst writing it and wanting the reader to do the same. After all which is more affective, a book with a sense of humour as well as a sense of worth (without being worthy just to add) or a book which takes itself and its issues far too seriously. The Harris County District Civil Court has long set, by its own bylaws, an ancillary judge, a name assigned and rotated every two weeks, to handle emergency motions, and Judge Irwin Little, through no choice of his own, got this one. A “doozy”, he calls it from the bench. He leans his pudgy torso all the way back in his leather chair, resting his hands on the mound of belly beneath his black robe, waiting to be entertained. Like Judge Irwin Little, I wanted to be entertained, I got the complete opposite of a “doozy” with Pleasantville though. Admittedly I read thrillers to escape, however as much as I like them to pack a punch with plot a thriller will get me all the more if there are additional layers to them too. Not that I don’t enjoy a simple cosy, or indeed grisly, throwaway crime novel from time to time. Oh, you know what I mean, a literary thriller will get my brain tingling and ignited whilst at the same time have me routed to my sofa avoiding the real world. This is such a novel. Pleasantville has all the escapism you want with a sense of reality that makes you think and want to go and find out more. I will certainly be reading more Attica Locke, I will soon be somewhat shamefacedly be dusting off the copy of Black Water Rising which has been on my shelves since it was published. It appears I have committed a true reading injustice right there.